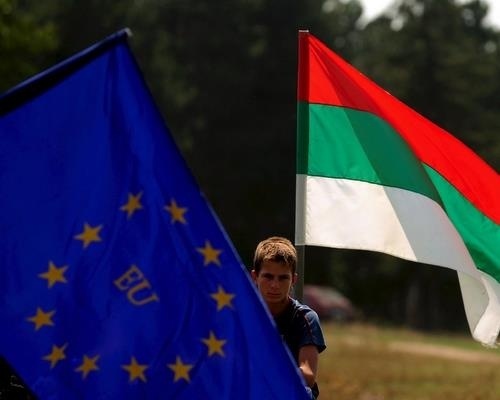 Bulgaria has not become an example of the European Union’s failure to initiate reforms in countries, which have joined not fully prepared for membership, says the only Dutch journalist, living and working here. “Everybody in Europe knew that Bulgaria – just like Romania – wasn’t ready to join in 2007. So now we have to deal with the consequences. But let’s not forget that countries like Spain, Greece or Portugal were hardly ready either when they joined more than 20 years ago,” Dirk van Harten, correspondent in Bulgaria for Dutch national newspaper Trouw and press agency ANP, said in an interview for Novinite.com. Asked about the coverage that the latest scandal surrounding Bulgaria's EC nominee Rumiana Jeleva got in the Netherlands, the journalist pointed out that the media treated the subject in a balanced way. “Most media not only paid attention to Mrs. Jeleva’s poor performance and the fact she refused to answer questions from parliament and to clarify her business interests, but also to the political games surrounding it; to the power play between the different parliamentarian factions,” van Harten said. In his words the scandal did do the image of Bulgaria much good. “Sending this woman to Brussels – about whom nobody in this country understood how she’d even become a foreign minister – was a huge mistake. And quite an unnecessary one, judging from the speed with which Mr. Borisov managed to produce a new and far more capable candidate,” van Harten added.